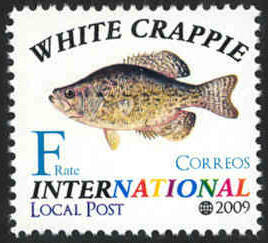 This moisture activated, collectible stamp is printed in full CMYK color offset inks and pinhole perforated (US Std. Gauge 12-67). 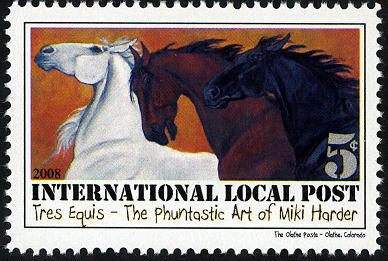 Printed and perforated in the United States by it's issuing authority, The Olathe Poste. 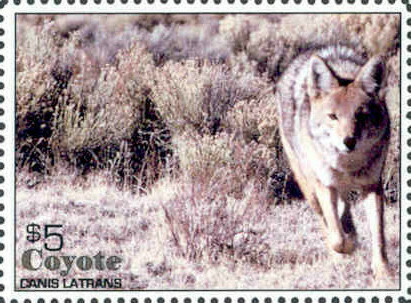 Topical stamp collectors will be delighted with the clarity of this photograph used on the stamp of a wiley coyote that was brought to the camera - as you can see, at a full gallop - by photographer W. C. "Bill" Porter. 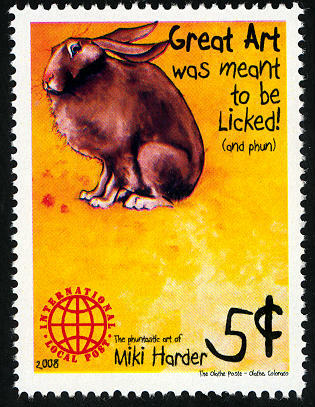 Porter is also the designer of this first ever coyote stamp. 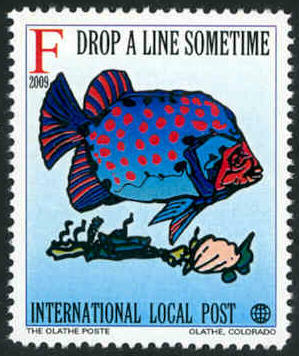 Stamp collectors will want to know that this stamp is in it's first printing, with the first issue released on February 28, 2006. 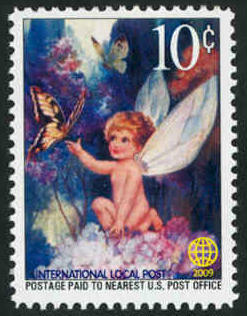 Stamp size is: 2 1/16" x 1.5" (5.24cm x 3.81cm). 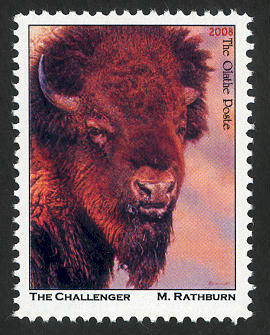 NEW - MINT CONDITION - Individual stamp(s) are packaged in glassine stamp envelope, then sealed with stiffener backer to offer the maximum protection during transit to your collection.